LowestPriceTrafficSchool.com, the exclusive provider of the Official Florida Driver Handbook from 2003 - 2011, is proud to continue its tradition of providing the Florida Driver's Handbook for students studying for the Florida Permit Test. So, download the handbook and sign up now for the online Drug and Alcohol Course, the online Florida Permit Test and save when you purchase both! Watch the 30 second video to learn more! Download NOW on your iPhone or Droid. Just search for "Florida Driver Handbook" at the App Store! The Florida Driver Handbook is ready for you and provided on the app store exclusively by LowestPriceTrafficSchool.com. Download your FREE copy of the Florida Driver Handbook today. The only driver handbook which you will need to ensure you pass your driver exam. 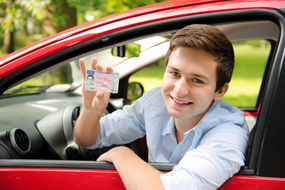 Our FL practice tests contain questions and content directly from the FL DMV handbook. 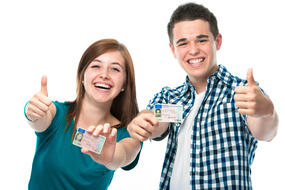 Our system presents the information in such a way that guarantees your will pass your Florida first time driver course or you will get your money back. We guarantee it!